Quality self storage can be yours at StorQuest Self Storage in Port Chester, NY. Our self storage facility near Byram River offers a variety of features designed to benefit your storage experience. We offer you such conveniences as access 7 days a week, ground-level units, and complimentary dollies and carts. Move in and out with ease thanks to these thoughtful extras. For even further convenience, we sell packing and moving supplies on site. Did you forget furniture pads, packaging tape, or a tarp to cover the ground floor of your unit? Don’t worry. You can pick up these supplies and more in our leasing office. 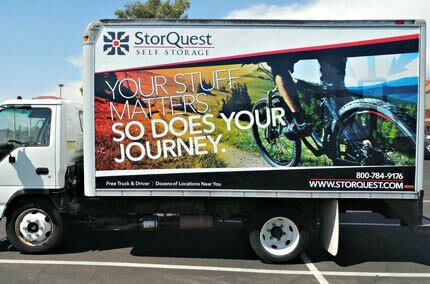 StorQuest Self Storage makes it easy for you to get organized. To accommodate your unique needs, we offer both small and large sized storage units. Whether you need somewhere to store your boat, you are remodeling your storefront, or you’re preparing to welcome a new baby into the family, we have the perfect storage solution for you. Before heading out, we can help you choose the perfect moving truck to help you transport your belongings during your move. To learn more about the different features offered at our Port Chester self storage facility, contact our leasing office today.